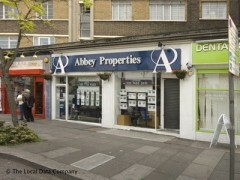 About: Abbey Properties deal in letting properties for a minimum of 6 months in the North West London area. I bought a property a few years ago with Abbey Properties, there was minimal issues and during the sales procedure. I recently went back to sell my property. I used 2 other agents as well as Abbey Properties and they were 3 steps ahead of both other agents.They organised several viewings in a short time period and had an offer agreed days before the other agents had any viewings! The sale procedure was easy and straightforward. Any hiccups were amended straight away. I would definitely recommend to use Abbey Properties when buying or selling. Abbey Properties were recommended by the porter of our building. They let our property in a matter of days, very happy with the price and they ensured we got a good return on our investment. Polite and courteous and would definitely recommend them! Abbey properties have been in business for over 30 years , that simply says it all. They are a large team with extensive knowledge and are extremly helpful and very professional. The have on of the largest landlord portfollios and deal with students and diplomats alike. State of the art offices. I agree with the other reviews here that Abbey Properties is the worst estate agent! We had a terrible experience with Abbey properties and I would advise anyone to avoid them at all costs! When we purchased a flat from this agent, the estate agent was extremely rude, threatening and manipulative, causing us a lot of distress. After the transaction was completed, we were tricked into paying £5900 to an unscrupulous builder that was recommended by the manager of Abbey Properties for flat refurbishments. Abbey properties reassured us that he is a reliable builder who does all the work for them and will do a good job. After we made the payment, the cowboy builder ran away with our money without completing the job and we are currently taking legal action against him. When we approached Abbey properties, the manager told us that this has nothing to do with them and they are also taking legal action against the same builder. What a bunch of lies! This is a rude, arrogant, unprofessional estate agent that I would never ever use again!!! The worst estate agents I have ever had the misfortune to use. They provided absolutely no service to us at all. When we first moved in to our flat they had told the previous tenants not to worry and to hang around for a week after their lease ended because we wouldn't be moving in which was completely false and caused enormous amounts of stress when we turned up with our vanload of possessions ready to move in. They never gave us an inventory despite our paying for it and now that we have moved out I am spending every day on the phone trying to get them to refund the inventory fee. They never answer the phone, nor do they return calls when requested and when promised. The only reason we were happy with our flat was that we had a decent and helpful landlord; absolutely none of this was down to Abbey Properties. When they showed people round our flat before we moved out they knew absolutely nothing about the services which came with the flat and I have no idea how they have the audacity to charge anyone any money or to call themselves professionals. Rude, arrogant, unprofessional, unhelpful - I can't criticise them enough and would never recommend them to anyone. Avoid Abbey Properties at all costs. Clearly "Sandra" who gave 7 stars for the review is an employee of Abbey Properties giving a false review! Abbey Properties is a pathetic excuse for a agent! DO NOT GO NEAR THEM! Myself and 2 housemates spent a miserable year trying to deal with the beyond poor, incompetent and truely unsatifactory and unprofessional "service" from Abbey Properties. - NEVER answering the phone. You have to ring the office ALL day to even get hold of someone. Oh and if you do get through to someone don't celebrate as they will put you on hold and then cut you off. When you ring back and mention this they act very unaware and apologise and then surprise surprise put you on hold and you are cut off again! - We had several issues with our property and it took weeks before they sorted out for someone to attend to the property. This is after we each called everyday about the issue recieving "yes no problem we will get that sorted right away" with no action. - False awful service! Seemingly polite and smiley to your face but NEVER fulfil promises! Its as if its in one ear and out the other!! "With a team of over 17 members of staff, customer service is always put first. Our aim is to take the stress and anxiety out of your property transaction." I am not sure who they are talking about but these descriptions are NOT about Abbey Properties. Their slogan should be "If you want to wait on a phone all day to no answers and recieve the worse customer service imaginable then come to Abbey Properties!" DISGRACE OF A COMPANY! AVOID AT ALL COSTS! I had a very stress free positive experience renting a flat through Abbey Properties. I found the negotiator knowledgeable, professional and friendly. The administration straight forward and quick and would recommend them to anybody who is looking to rent or buy within the NW London area. Friendly competent staff who do their best. Abbey Properties are a truly awful company. The single reason for giving two rather than one star was the fleeting presence of a competent member of staff a while back. Since then, it has been a litany of incompetence. Unresponded-to phone calls, ignored emails, passing the buck and blaming internal communications, failing to act on promises, terrible excuses and poor customer service. And when one manages to speak to an individual about a complaint? An attitude of indifference and again it being someone else's fault. I can only imagine the single reason that Abbey Properties survives is that if people find a place they want to live, they're prepared to put up with the crap. Combine the above with shoddy local knowledge (I knew far more than the half-truths I was fed when being shown around properties) and you have complete evidence that the free market doesn't work. The only reason this real estate gets a 1 out of 10 is because there are no lower offerings. They are the absolute worst real estate I've dealt with. From completely botching the agreed requirements of a tenancy term, giving out the wrong keys to the property, never returning phone calls as some of their better aspects, my advice is to stay as far away as possible from these guys.